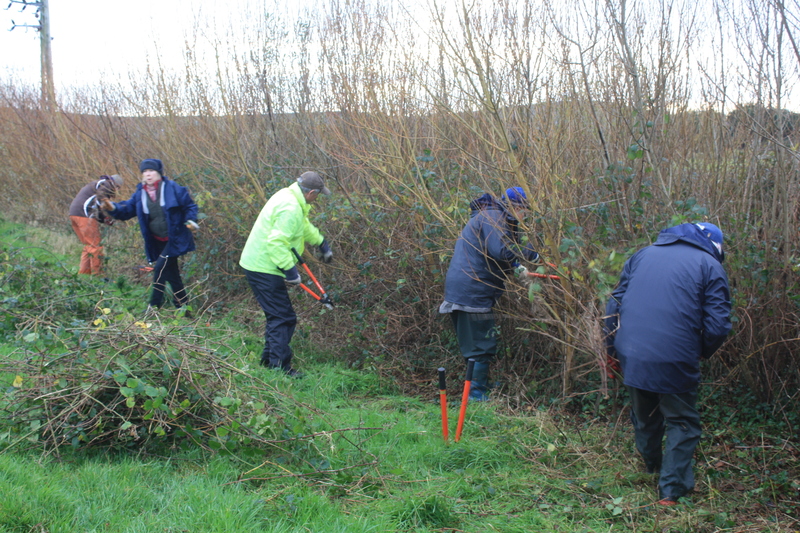 To help with the clearing of the undergrowth from around the willow Hugh drafted in help from the Wild Penwith Volunteers..
A group of about 12 people came together to clear the brambles, and Cooch Grass from the willows and rabbit proof fence which surrounds the field. The fencing not only protects the crops, but also means we can cut the willow low to the ground when we coppice as the rabbits will not eat the new emerging shoots from the stumps. Using a combination of shears, sickles, slashers and croppers we spent the day working hard and managed to clear all the willow and most of the 200m boundary. 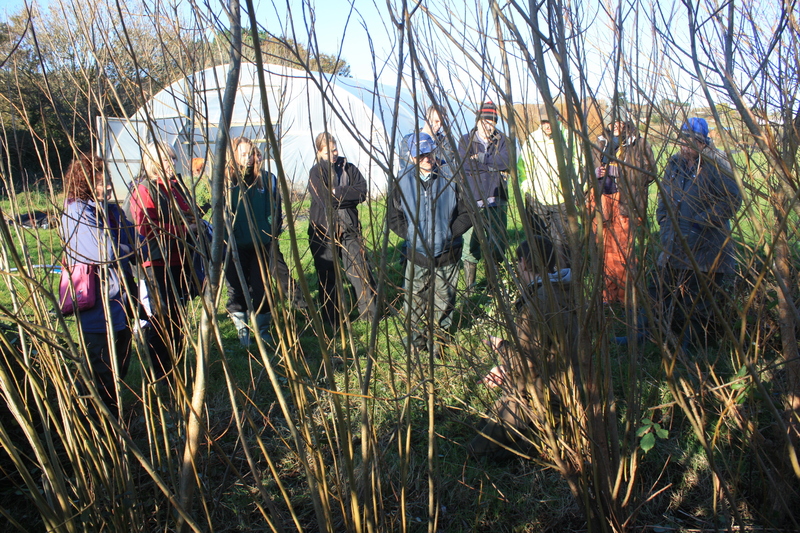 After a well deserved tea break in the polytunnel, I gave a demonstration of coppicing and sorting one tree. Taking the volunteers step-by-step through the process and the decisions made when cutting depending on what the wood will be used for. Thanks to the Volunteers, and for me it was a pleasure to pass on some skills and knowledge. 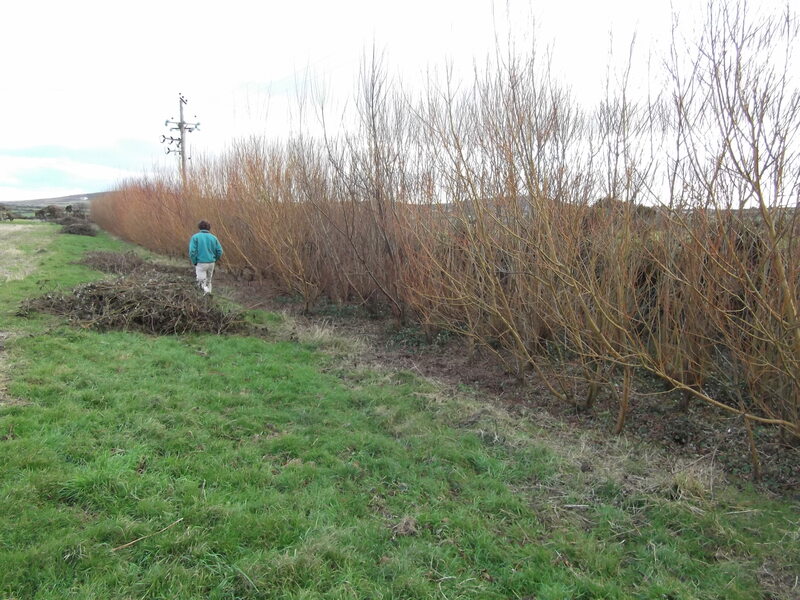 We have decided to coppice the willow on 1st February 2011, as we also need to re-plant it on the Northern boundary (to provide another windbreak there) at the same time. Getting it fresh into the ground as near to the growing season as possible gives a much better chance of it rooting and sprouting next year. 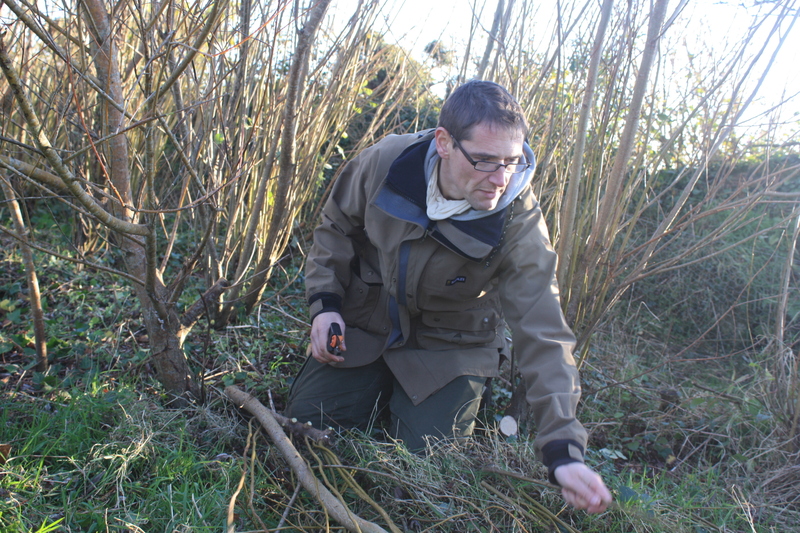 If you are interested in joining us and learning some basic coppicing skills (for free!!) then contact Hugh at Bosavern Farm. See you there! Bosavern Community Farm (http://www.bosaverncommunityfarm.org.uk/) is based just outside St Just in West Penwith, Cornwall, UK. 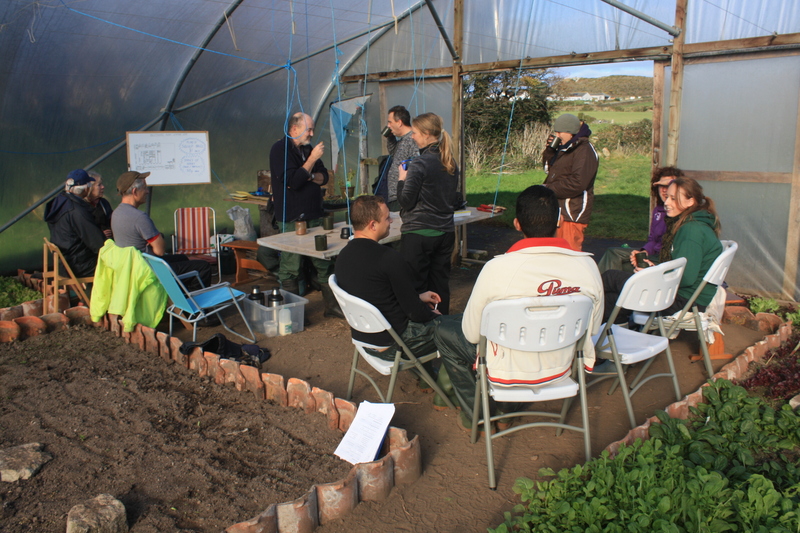 The community have been granted an 18 month lease by Cornwall Council who are the owners. In that 18 months they must demonstrate that the farm is a viable concern and the local community can keep the farm going. Hugh (the current farm manager) and Deb (the project co-ordinator) asked if there was anything I could do with a willow windbreak planted by the previous owners which protects crops in the main growing field from South Westerly winds throughout the year. The willow has been partly coppiced around 3 years ago; it has 3 – 4 rows of trees spaced 1/2m apart and is about 70m long. Whatever we decide to do the first thing to do was to clear all the undergrowth from around the trees and for that we needed some volunteers…. You are currently browsing the Greg Humphries blog archives for December, 2010.